This company was founded in 1967 as Waremart by Ralph Ward and Bud Williams in Boise, Idaho. In 1985, an employee stock ownership plan (ESOP) was integrated giving Waremart employees an ownership stake in the company. This means that employees are part owners of the company and benefit financially from a job well done. Waremart changed its name to WinCo Foods in 1999. 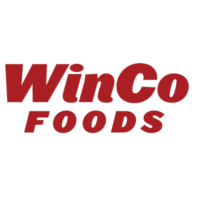 To start your search for WinCo Foods jobs, click the link provided near the bottom and fill out the WinCo Foods application. Each employee owner becomes a participant in the ESOP after working at least 500 hours in the first 6 months of employment, reaching 19 years of age, and accumulating 1000 hours a year. All contributions to the ESOP are entirely made by the company and never involve contributions from the employees. This company is a basic no-frills company and they save money by reducing operation expenses by purchasing directly from manufacturers and farmers; accepting cash and debit cards, but not credit cards. They also do not provide bagging service in an effort to pass the savings onto their customers. As of September 2015, it has 102 retail stores and five distribution centers with over 15,000 employees. The company is involved in the community through donations to organizations such as Make-A-Wish Foundation, Ronald McDonald House, Children’s Hospital, and many more. They also donate what food falls within the food safety guidelines that they can no longer sell. The company also contributes to the community by reducing their carbon footprint. They are involved in the reduction of paper, using natural lighting instead of artificial lighting, and implementing energy efficient refrigerated and frozen areas at the new and updated locations. There are many in-store jobs available. Some of these opportunities include Loss Prevention Agent, Deli Clerk, Bulk Foods Clerk, and Freight Stocker. More can be found when you further search for WinCo Foods jobs online. Other WinCo Foods careers are in the distribution center. These openings include Order Selector, Floater, and Picker. All positions offer an industry competitive wage, flexible hours, and employee discounts. How old do you have to be to work at WinCo Foods? To work for this company you must be at least 18 years of age or older. There is not a printable application for WinCo Foods but they are open 364 days a year, 24 hours a day. If you want to apply for jobs at WinCo Foods in person, contact your local store to determine when the best time to come in would be. Loss Prevention Agent – The Loss Prevention Agent detects, apprehends and prosecutes shoplifters, prepares and submits reports involving investigations and loss prevention matters, and participates in internal company investigations. Other responsibilities and duties include testifying at legal and court proceedings on behalf of the company, conducting loss prevention audits, and providing loss prevention training to store staff. Deli Clerk – The Deli Clerk is responsible for stocking, straitening, and rotating the deli, seafood, and hot food cases, preparing sandwiches, salads, etc., reading recipes, following instructions, and slicing and vacuum packing deli meats. Other duties include serving customers from all department service cases by taking orders, answering questions, and suggestively selling, among other responsibilities. Bulk Foods Clerk – The responsibilities of this role include breaking down freight, placing product in barrels and dispensers, overseeing the coffee area, and maintaining various machines. Other duties include performing customer service duties, and maintaining a clean work area by mopping, sweeping, taking out trash and garbage. Freight Stocker – The duties of this role include maintaining the quality condition of all products, ordering products, cutting cases, stacking, pricing and marking merchandise, building product displays and operating related equipment. Other responsibilities include maintaining a safe, secure and sanitary work environment, assisting customers with questions, and performing occasional checking duties with an emphasis on providing friendly, courteous, customer service. The following questions are meant to assist you in preparing for an interview at WinCo Foods. Can you tell about a goal that you set and did not reach? When answering this question, be specific about what the goal was, what went wrong, and what you learned from the experience. What is the difference between a manager and a leader? This can be a difficult question, especially for someone who has not been in that type of role before. Some good examples for the answer would be that a manager manages work where a leader inspires and motivates people, or a manager counts value whereas a leader creates value. What personal qualities or characteristics do you most value? You should focus on the type of qualities and characteristics that you value most in yourself and others. For instance, you may value respect, courage, honesty, dedication, etc. What is your personal mission statement? This can be a difficult question if you have not prepared for it. It is asked to see how well you prepared for the interview and to determine if your personal mission statement matches or comes close to matching that of the company. It is extremely important to research the company and the position that you are applying for. You will be asked certain questions during the interview that will show whether you did your homework. During your research, write down questions to ask the hiring manager that will clarify details of the job that you are applying for, determine what kind of career growth is available, and define the company’s goals for the future. You should dress professionally in business-casual attire; avoid shorts, muscle shirts, spaghetti straps, and sandals. Use good grooming practices such as keeping your hair off of your face, being clean shaven, and using natural makeup. Introduce yourself with a handshake and a smile to project confidence. When answering questions, make eye contact and use your work history for examples ensuring that the examples focus on your strengths, skills, and personality. Always answer the questions completely and concisely without muttering, keeping your answers down to two minutes. Show that you are grateful for the time and consideration by thanking the recruiter.